What Can You Do with Unwanted Cars? Once you have purchased a new car, what do you do with the old one? It is a very common question that many people ask themselves. There are a few different things you can do to sell cars for cash in Portland OR to help free up some much needed garage and driveway space for your home. When you have an unwanted car here are some options to consider. One option for the removal of newer or more gently used cars is to resell it yourself. Taking out an ad in the local paper or selling it on a website like craigslist are both popular ideas. This method can take a long time, though, and is better for people who don’t need the money right away.Some people trade in or sell a vehicle to a dealer. In this case, though, you should be aware that they will pay less. Their profit depends on buying low and selling high. Another attractive option is to sell car for cash in Portland, OR to a used car buyer. These used car buyers often offer cash upfront, with no waiting for a buyer to take an interest. You also do not have to make yourself available to meet interested buyers. This is a great option for anyone looking to sell a car quickly. 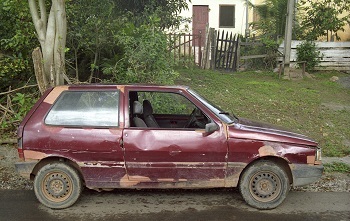 Many of these buyers offer free junk car removal in Portland, OR, as well. This option is wonderful for anyone looking to get rid of a car with very little effort or work on their own part. Many people don’t know that some junk car removal companies will also buy cars in good condition. The good companies have an appraiser on hand who can quote a price for anything from a lightly used commercial vehicle to a classic car. Junkyards are a good option for anyone looking to unload a car quickly with little fuss. Junkyards will take nearly any car off your hands with little to no questions asked regarding the quality or drivability of the car. Sometimes these junkyards do charge a fee to take the car off your hands, however. Getting rid of a used car can be a hassle. However, there are options that make your decision easier. Whether you are looking to get a little extra cash or you just want to get the car out of your yard, there is a perfect option for you.